Piers Rudgard-Redsell is the Content Director and Partner at The Honey Partnership, an award winning social creative agency in London, Amsterdam and San Francisco, which helps grow and globalise superbrands. Piers is a Creative with a background in design, and is a massive fan of DriveNow, using the service monthly for work as well as visiting family. 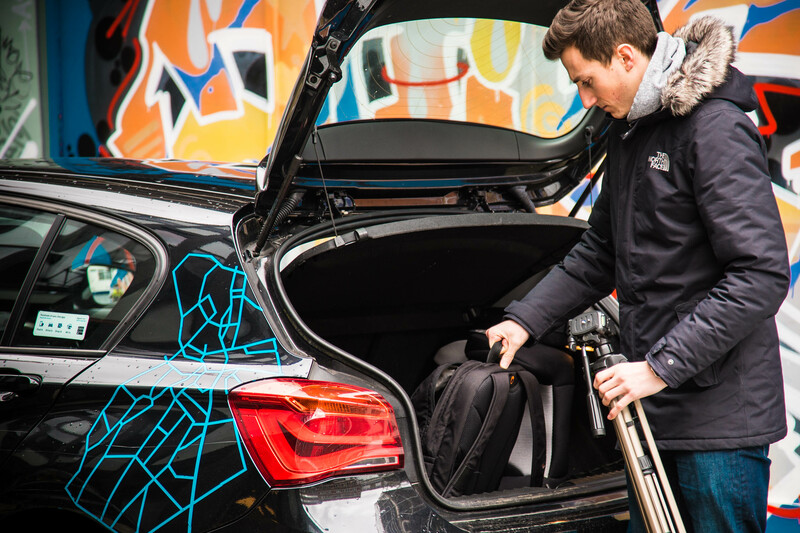 The Honey Partnership uses DriveNow for film shoots and Piers will often take a DriveNow to pick up team members and camera equipment around London, then drive to the film location. Recently he took a BMW 1 Series with a team of 4 and film equipment to Longcross in Guildford, where they filmed 4x4 driving around a forest loop (not with the 1 Series sorry!). If he’s driving around London picking up equipment, Piers will usually choose to drive-by-the-minute but he’s found that the hourly packages are really convenient for longer work tasks in and outside of the city. Then it’s easy to just claim the invoices back on expenses.